As the year winds down, we’ve started exploring-it’s the perfect time to learn new technologies and figure out the kinks so we can implement them at the beginning of next year. 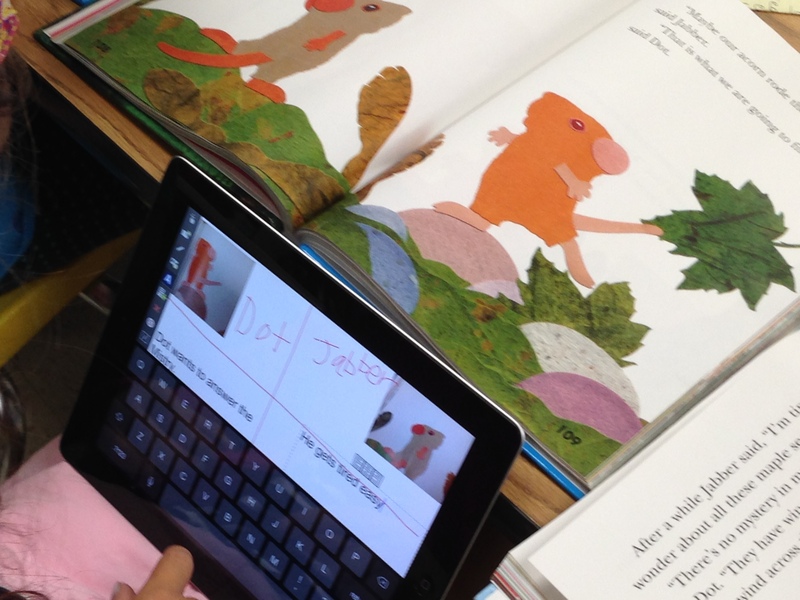 Students love using the iPads, and it has helped them stay motivated at this time of the school year. 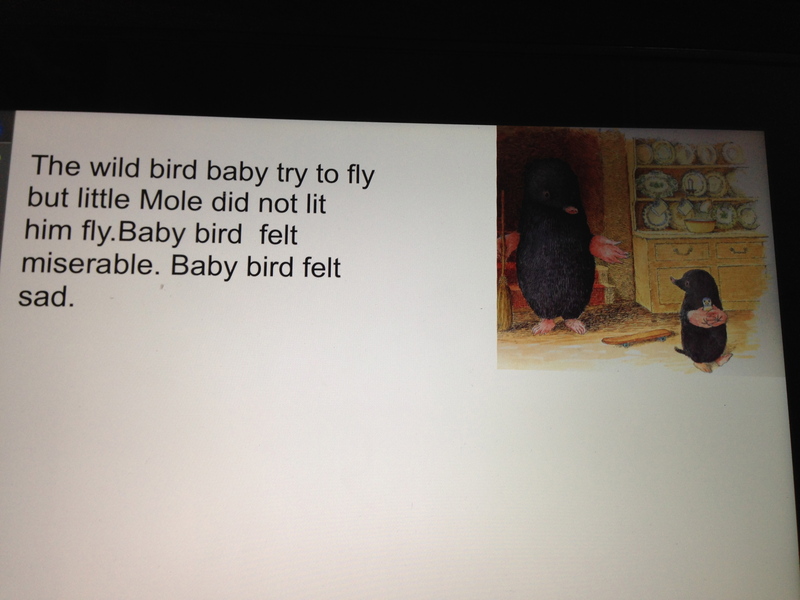 The app we focused on is Explain Everything (though you do have to purchase it). We tried it at the beginning of the year during math, but now we’ve been using it for reading strategies. 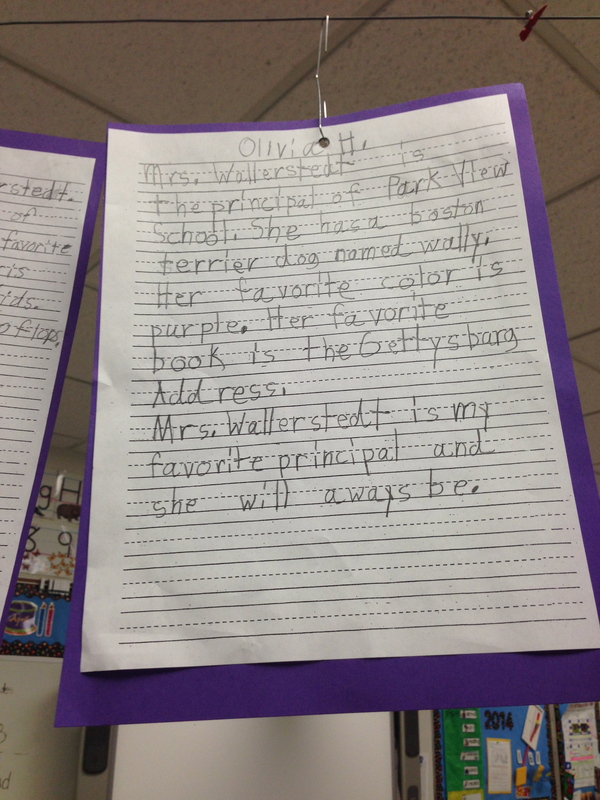 Students can write and show what they’re thinking in a more engaging way. Explain Everything is a great tool because it allows you to go back into your project and continue at a later point, which has been helpful as students learned how to use the app. I explored the app-how to use it and some features-so I was prepared to teach students how to use it. 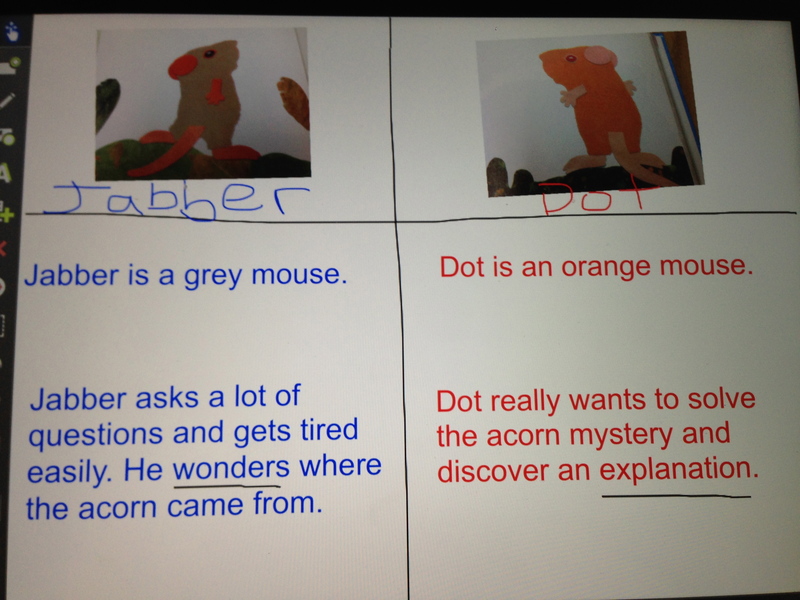 So far, we have used the app for 2 reading skills: Drawing Conclusions and Compare and Contrast. Students first chose a picture from their weekly story to use to show their thinking. They wrote out their sentences, for example, what happened in the picture and what their conclusion was. We increased the challenge by having them use an amazing vocabulary word. Separating the writing from the app helped them focus on each part of the project without overwhelming them. 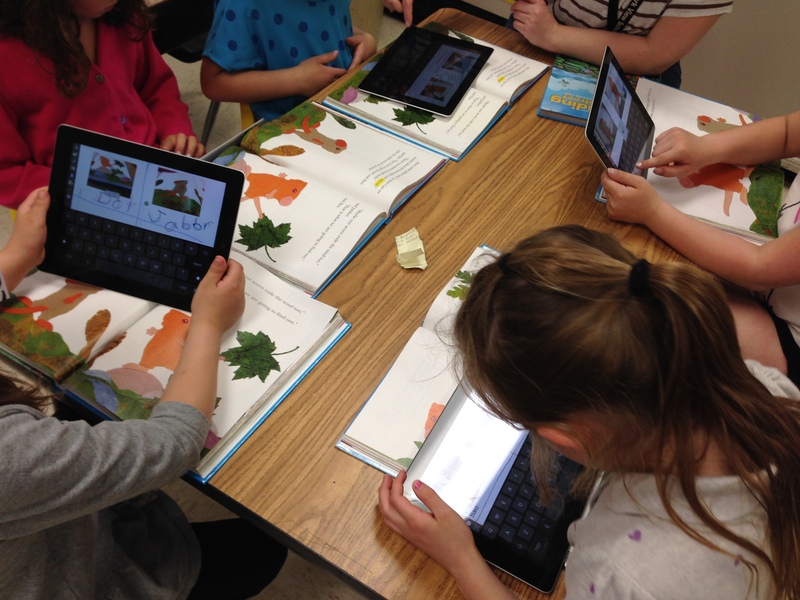 We demonstrated and taught the app during guided reading groups. We showed them how to take a picture, resize it, and add text. After showing them the basic features, they were able to create their own project fairly independently. 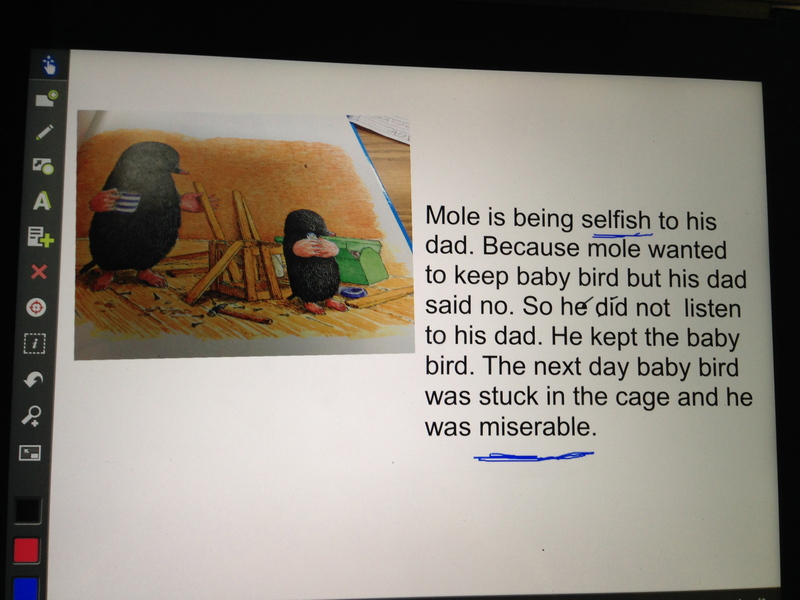 They caught on quickly to how to use the app, and they wrote amazing sentences. 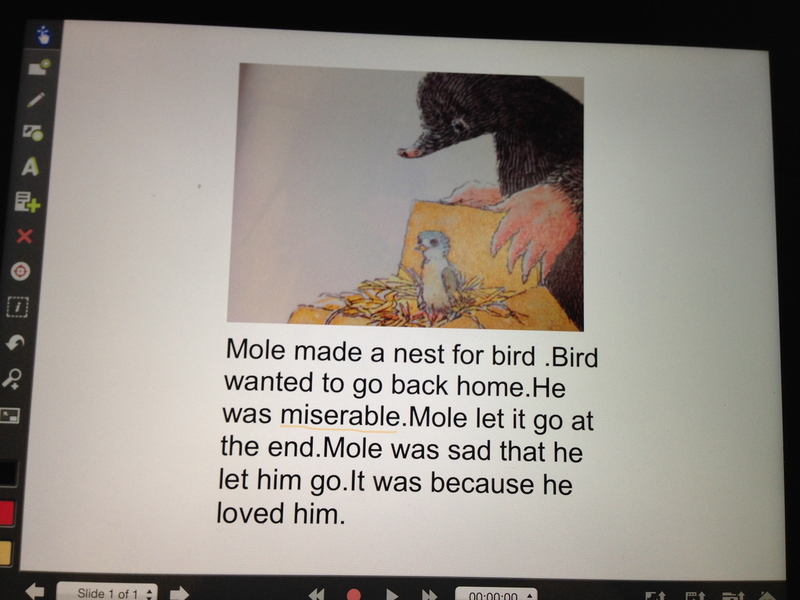 As they get better at the app and explore it more on their own, they can figure out how to change the text color, label pictures, underline vocabulary words, and record their writing. We can extend their projects by adding more pages, so they can have all their work in one file or show multiple parts of the same story. I know there’s more to learn about the app, but I’m excited to start using it, and the students are excited to try something new. At EdCamp Chicago a few weeks ago, a lot of people mentioned using the app in the elementary classroom. Also, Shawn McCusker (@ShawnMcCusker) described all the different ways he and his students use Explain Everything in the classroom. I’m amazed by the different ways it can be incorporated into all concepts in the curriculum. So far I’ve done math and reading comprehension. I can’t wait to try more ideas and am open to suggestions. I’d love to see others’ projects and ideas! 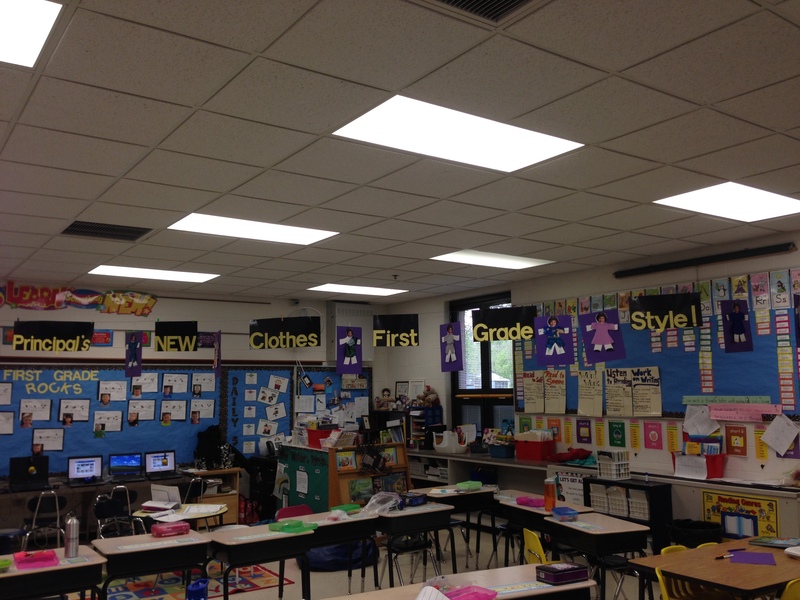 Principal’s New Clothes-First Grade Style! To help students write creatively using many details, we decided to do a fun project. Especially at this point in the school year, it’s important to create engaging activities that allow students to combine and practice what they’ve learned as their minds wander outside to the spring weather. 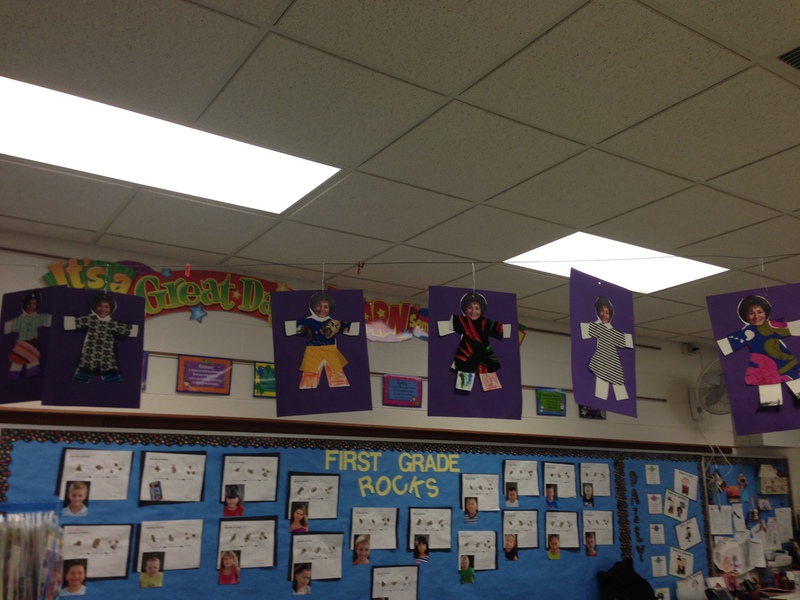 After reading the book, The Principal’s New Clothes, students had the task of designing a new outfit for our principal. 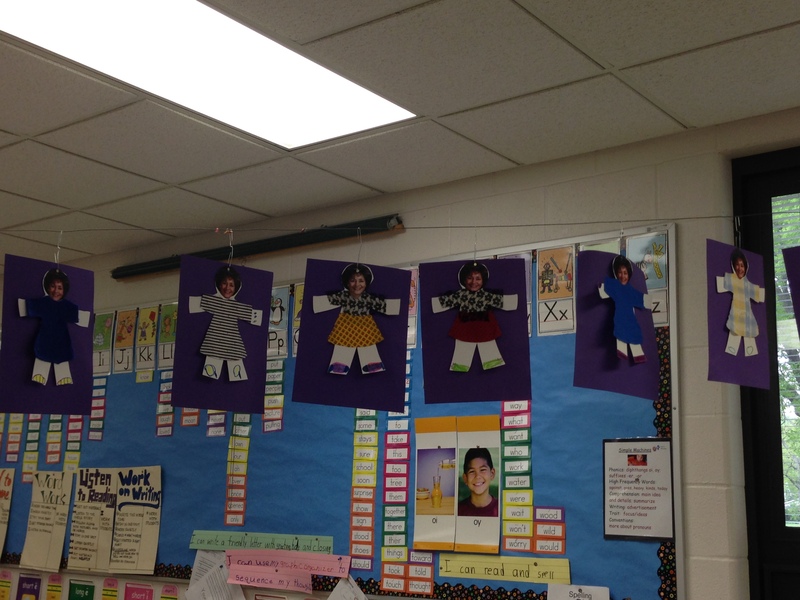 Students picked out fabric to create a dress, blouse, skirt, or pants (note: the project requires a lot of prep work creating the paper dolls and cutting the clothes from the fabric) that they glued onto their doll. 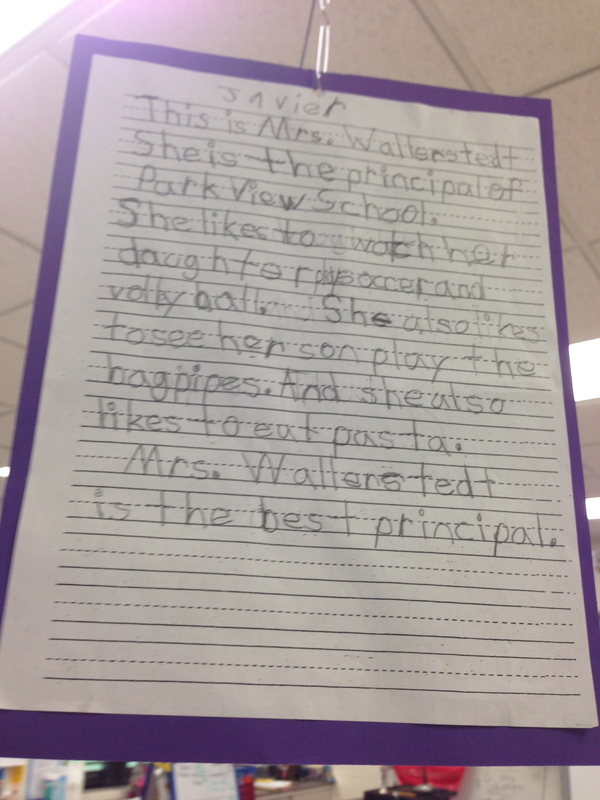 This project worked perfectly with our skill of main idea and details as we discussed the writing part of describing our principal. 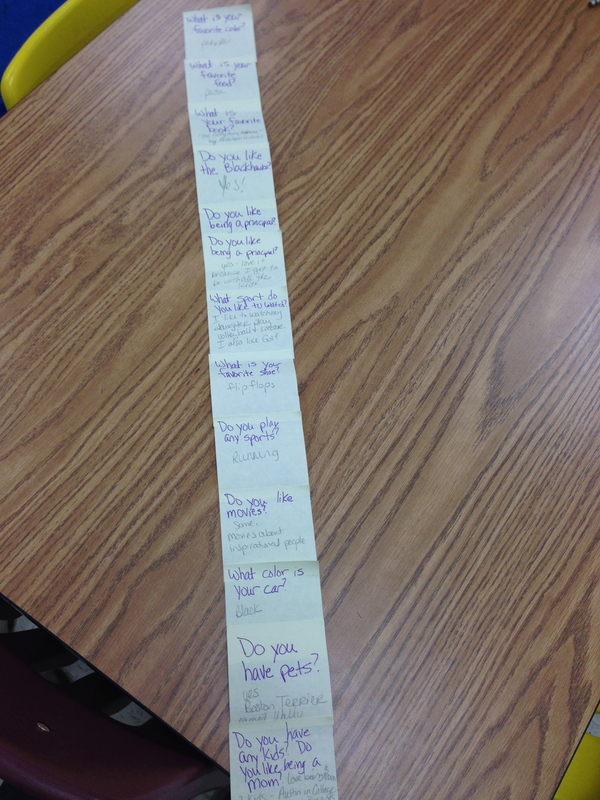 We brainstormed a list of questions we wanted to know about our principal. After writing the questions on post-its (what’s your favorite color, do you like being a principal, do you have kids, etc) we sent them to the office and awaited her responses. The kids were very excited she responded! I shared the responses and we discussed how to turn the questions into sentences. 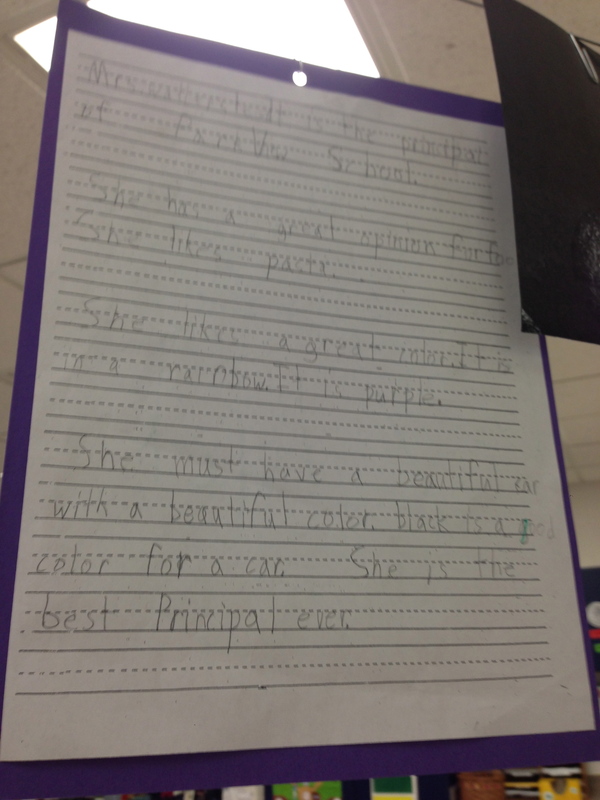 We also discussed using lots of details and descriptive word choices. Students then went off and wrote. This was a fun activity-the students have really grown as writers this year and had the chance to be creative. And the principal definitely has some cool new clothes! In the past year, I’ve become an avid yoga enthusiast. I only practice 1-2 times per week, but when I get in that zone, it is a true destresser. Sometimes it’s hard for me to clear my mind, but after class I always feel so much better. And if my mind begins to wander, I lose my focus and fall out of poses! I’ve also used the breathing techniques to help me calm down in daily life events. As I’ve increased my practice, I’ve also realized lessons from yoga that can be applied to daily life and the classroom. Below outlines lessons we can bring into our daily lives. 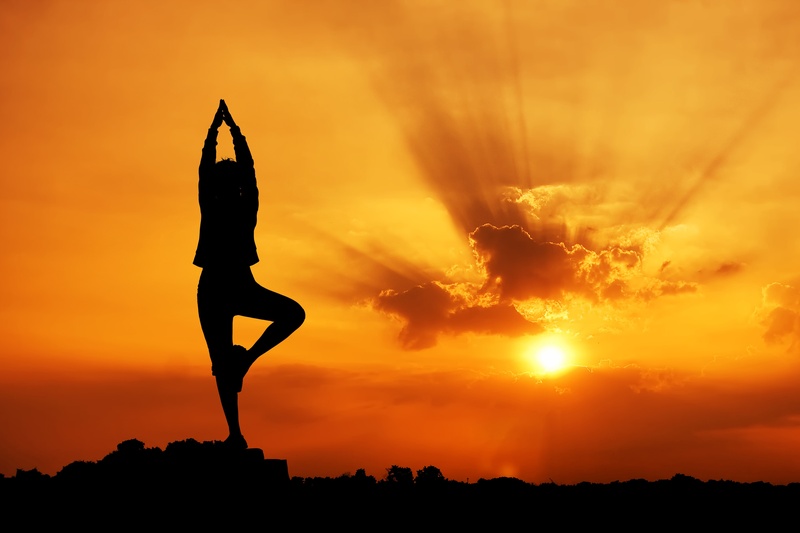 Yoga is differentiated-everyone has different abilities and is at different stages of their practice and that is okay. There are different options with the poses that the instructor shares, and you get the choice of how far to go based on your flexibility and level. There are tools to use, such as a block or strap for additional support so you can try a more advanced option. Also, you are focused on yourself rather than comparing to others around yourself. Yes, I do look around, in awe of people who can do crazy balances, and know I am not there yet. And that is okay. Throughout yoga, you are focused on yourself and your breath. You use this breath to help you push through poses. Any other thoughts are pushed to the wayside. Throughout the class, you take moments to return to your breath to regain focus or slow down after a difficult sequence or pose. If you struggled, this is a chance to regain neutral ground and keep going. This is why yoga is seen as a stress relief and confidence booster. At the beginning of each class, an intention is set. Sometimes the instructor gives you a suggestion, sometimes you create your own. Usually these are a word or a phrase, the reason you decided to come to class that day. Imagine if everyone woke up and set an attention to try their best, listen to themselves, appreciate the world, or be awesome everyday! Yoga is about growth. Each class you can push yourself further or try something new. Over time, you gain strength and can notice the difference. Then you can set new goals. There are poses I am doing now that I didn’t think were possible for my body to do; one day I decided to try and succeeded! It was such a wonderful feeling of accomplishment and helped my confidence grow. The worst thing that happens, is you fall out of a pose; then you try again. I watch others who have succeeded and have something to aspire to as I gain more strength. Also, the instructors are very supportive-they offer feedback throughout class and are willing to help and assist if you want. At the end of class, time is spent to relax and recover; often, everyone breathes together as a community. In her closing remarks, the instructor says to leave what happened on the mat. Throughout class she also says to listen to your body-some days you may be capable of doing more than others, but what is important is you came to class and gave effort. Everyone worked their hardest and deserves the chance to revel and take in that moment. As I continue my practice and build strength, I hope to also bring these lessons into other moments of my life.